The EU as imagined in the US seems to be an economic and perhaps security entity. Its about creating a supermarket for American trade and partners/critics for America's war on terror. Yet, the heart of the EU as talked about in Bratislava is the body to end wars in Europe. This is its primary function. Today, Pavol Demeš, the head of the Bratislava office of the GMF, replied to a question about the "Return of Investment of the EU?" as an American question that is not relevant to Europe. The "investment" in the EU is about peace and stability not economic benefits, although they are necessary. This has implications for the amount of patience Europeans have in terms of consensus building and decision making at the EU because its not about efficiency. Its about getting it right and taking the time to make sure that people are included. Some decisions at the EU can take up to 10 years to 20 years to make. This is mind blowing to me, because I especially don't have a sense of participating in the long view although I may see it. But all this is possible because Europeans have a greater goal than the next quarterly results and that is long term peace in the region after 1000s of years of war. I hope it will not take the US 1000s of years of war to reach the same level of patience. In the conversations and presentations over the past two days, there has been a focus on Slovkia's multicultural history. We had a tour of the city of Bratislava from the perspective of Jewish history, which exposed both the hegemonic and alternative history of the city including the extemination of the Jews by Hitler. We had another presentation at the Institute for Memory which documents and catalogues the files listing the persecution of the Slovak people by the Communist regime. In the evening, I saw a dance that went through Slovak history. 1) Europeans histories and identities layer one on top of each other. People joke about being Eastern European and then Central European without moving. 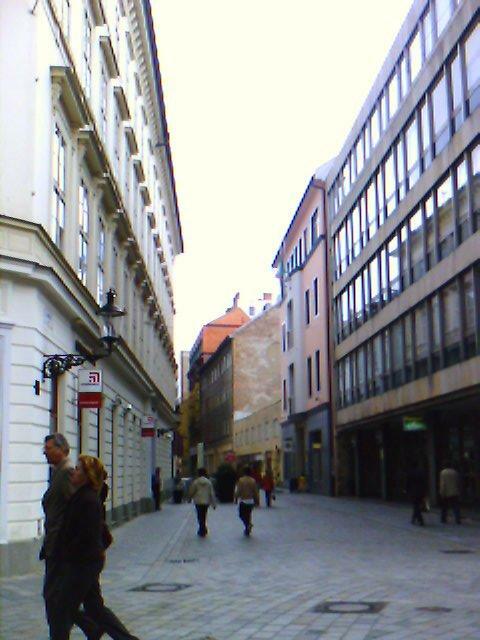 The city of Bratislava has undergone many name changes from Pressburg to its name now. The only parallel would perhaps be the experience of Native Americans and Mexicans in the South West, in terms of being Spanish, Mexican, and American without moving. This is very different from the migration and hyphenated experiences of many Americans. Although the fluidity of identity and the wearing of masks is similar, the stability in physical locale makes a difference. 2) American individualism has a positive structure to it. 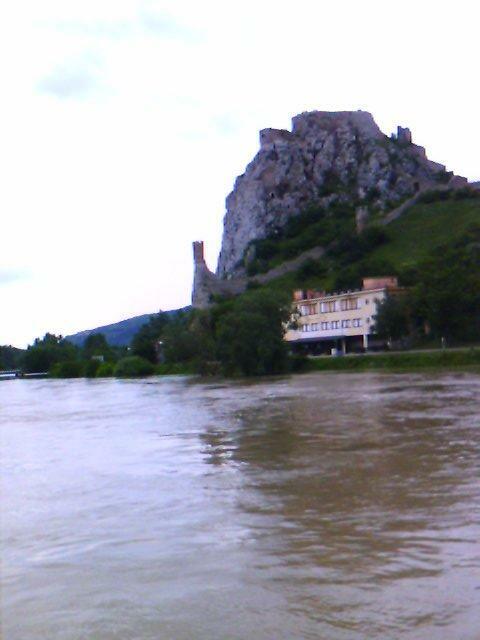 During a conversation with a Slovak woman on a river cruise we took to see Devin Castle. She said that American individualism is good. Now, from an African American perspective, I am skeptical of (1) claims of American individualism considering all the group oppression that is part of the history, and (2) the use of "individualism" to ignore the need for systematic change. But in the discussion, what I realized is that the legal basis of individualism is a good thing. The problem has been that it took nearly 200 years for most women, blacks, hispanics, asians, etc. to be treated as individuals. The Civil Rights movement could be seen as a collective movement to gurantee individual rights for all people. Now Europe, according to Alexandra, still thinks legally and structurally in terms of groups. Wars have been fought for centuries in Europe because of the legal system operates on group structures. Thus for her, good solutions will not come out of the framing of a "Roma" problem. It can be said that perhaps they would result in the same failures as those addressing the "black" problem in the past. So how do you construct policy that provides enough individual opportunity that it makes up group inclusion. Of course that is one that has not been addressed well by the US. As some of our hosts point out, the race issue in the US, as demonstrated by Katrina, is the country's biggest problem. Based on a brief chat with Joerg Forbrig of the Bratislava GMF, I am interrogating assumptions about the role of design. Are well developed information design systems only necessary for societies in which there is less social interaction? If in Slovakia you get directions by asking someone directly, then signage systems are less necessary. 1 Is there an implicit assumption of weaker sociality in the mediation of communications and processes through Design? 2 Is it possible to trace the absence of highly standardized design practices to the level of sociality between people and the government? 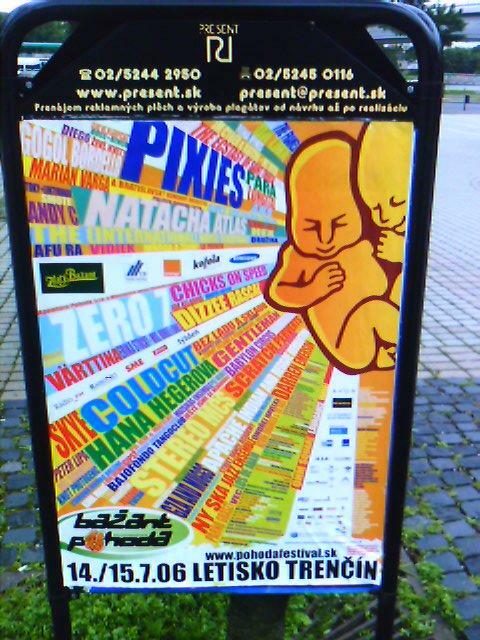 Landed in Bratislava. From the airport passed a lot of Soviet style architecture. It reminded me of Addis Ababa when I first went in 1993. 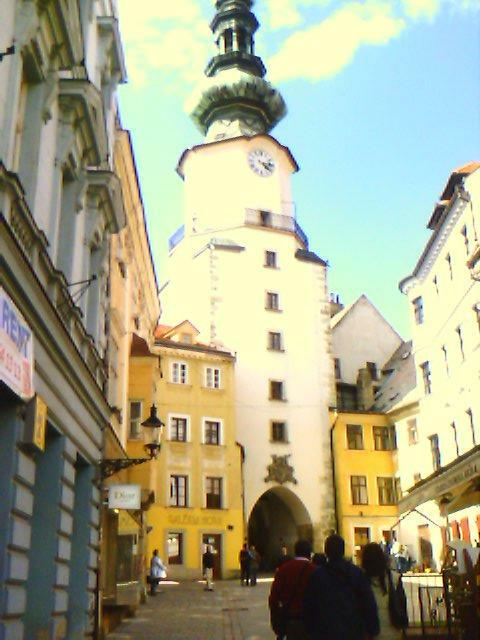 But the Old Town is stunning as one can see. The city is about 500K people and a mixture of old medieval, new Ikea, and dilapidated Soviet styles. Historically center of Hungarian empire, now capital of Slovkia. Definitely in transition. Now off to dinner.